Outgoing postcard US-2776488 to CT, USA shows an impressionism painting titled "Water Lilies" by Claude Monet (1840-1926) in 1906. He was a founder of the French impressionist painting movement. Most of his paintings were of "en plein air" (in the open air) style impressionism landscapes. This painting was one of many variations of water lily paintings that Monet painted in his flower garden in Giverny, France. The postcard was purchased at Zazzle.com. 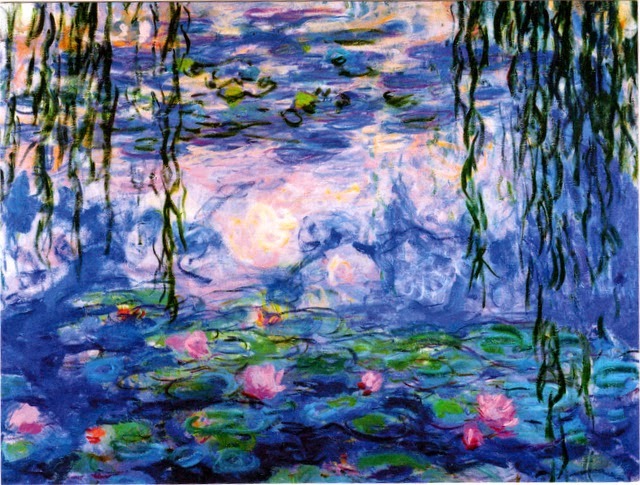 Another rendition of "Water Lilies" in 1907 was just sold for over $27 million at an auction on May 6, 2014.